(20 minutes) What is our place in the cosmos? In the American Museum of Natural History’s iconic space show Passport to the Universe, this question is answered as visitors travel through the observable universe to explore our “cosmic address.” In an unforgettable experience, cutting-edge science creates images of unprecedented realism and accuracy as viewers begin to understand the true enormity of the cosmos. 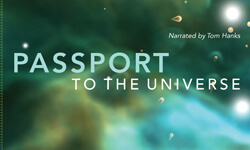 A captivating explanation of fundamental cosmology, Passport to the Universe is always relevant, always educationally important, always illuminating. Since its premiere at the Hayden Planetarium in New York, the American Museum of Natural History’s inaugural space show Passport to the Universe has been experienced by millions of people around the world—but not like this. Updated in December 2017, this renowned space show has been fully modernized for today’s audience featuring cutting-edge visualizations of the latest scientific data, including updated surface maps and new exploratory space missions. (25 minutes) This spectacular Space Show is narrated by Academy Award-winning actress Whoopi Goldberg, featuring extraordinary images from telescopes on the ground and in space and stunning, never-before-seen visualizations of physics-based simulations. The dazzling Journey to the Stars launches visitors through space and time to experience the life and death of the stars in our night sky, including our own nurturing Sun. Tour familiar stellar formations, explore new celestial mysteries, and discover the fascinating, unfolding story that connects us all to the stars. Those who come along for the journey may never see the night sky in the same way again. Journey to the Stars is an engrossing, immersive theater experience created by the American Museum of Natural History’s Hayden Planetarium astrophysicists, scientific visualization, and media production experts with the cooperation of the National Aeronautics and Space Administration (NASA) and more than 40 leading scientists from the United States and abroad. Journey to the Stars was developed by the American Museum of Natural History, New York (amnh.org) in collaboration with the California Academy of Sciences, San Francisco; GOTO INC, Tokyo, Japan; Papalote Museo del Niño, Mexico City, Mexico and Smithsonian National Air and Space Museum, Washington, D.C.
(25 minutes) Featuring exquisite renderings of enigmatic cosmic phenomena, seminal scientific instruments, and spectacular scenes in deep space, Dark Universe celebrates the pivotal discoveries that have led us to greater knowledge of the structure and history of the universe and our place in it-and to new frontiers for exploration. Narrated by astrophysicist and prolific science communicator Neil deGrasse Tyson, this immersive program is a spectacular way to show off what our dome can do. In stunningly detailed scenes based on authentic scientific data-including a NASA probe’s breathtaking plunge into Jupiter’s atmosphere and novel visualizations of unobservable dark matter – Dark Universe explores this new age of cosmic discovery and reveals the mysteries that have been brought to light so far. 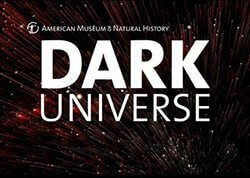 Dark Universe was developed by the American Museum of Natural History, New York (amnh.org) in collaboration with the California Academy of Sciences, San Francisco, and GOTO INC, Tokyo, Japan. (40 minutes) Take a magical guided tour of our Night Skies in our all-digital Planetarium dome — the only one of its kind on Florida’s Gulf Coast — to show you what our skies look like tonight, tomorrow night or any night past or present over thousands of years. Constellations, asterisms and beautiful images of galaxies, nebulae and star clusters fill the sky revealing the nature of our larger cosmos. 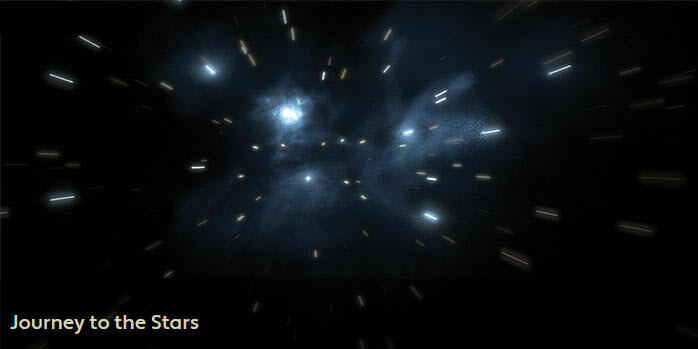 Our system uses Digistar 5 technology to show you not only the night sky but where in space you are within our Milky Way galaxy. Dwarf planets, the Kuiper Belt, the Oort cloud and more become not just places to point to in the sky, but places that you can fly to and see. 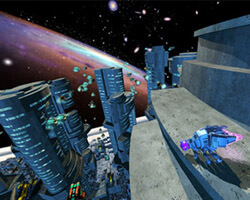 We don’t just show you the rings of Saturn, we take you right into them! (40 minutes) Join our astronomer for a live guided tour of the universe. You’ll see the distribution of stars, galaxies and cosmic material throughout the observable universe using The Planetarium’s state-of-the-art technology. 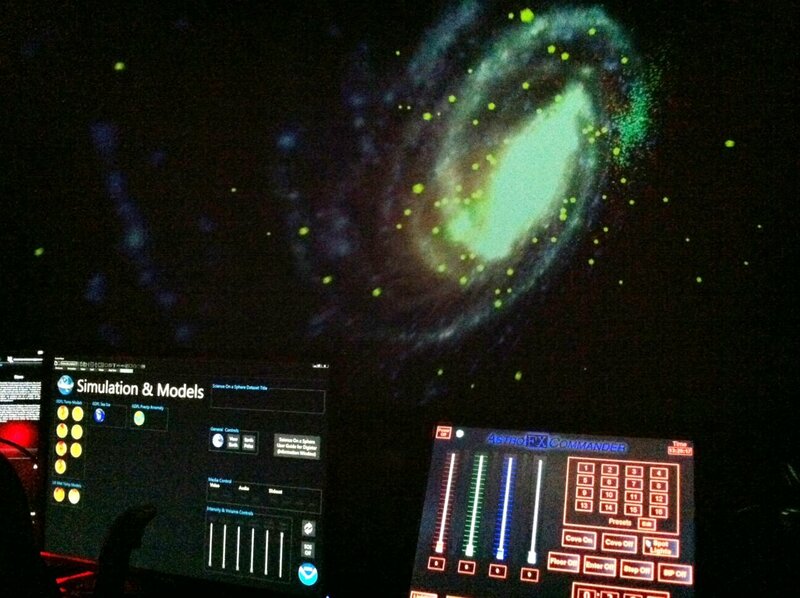 Our digital dome presents a view of the cosmos previously only imagined by astronomers and scientists. Now, thanks to data collected by telescopes over the past 30 years, we can show you the structure visible in the distribution of galaxies throughout space and reveal what was previously unknown: the parts of the Universe that don’t interact with light, also known as Dark Matter.